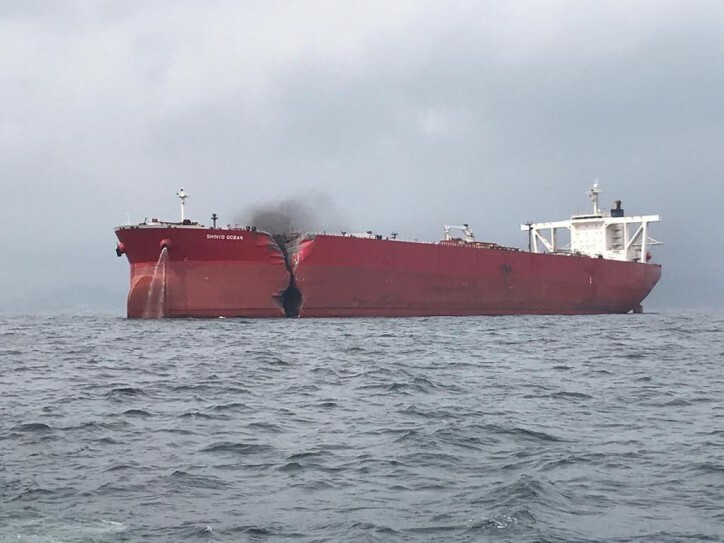 Maltese-flagged LNG tanker, ASEEMcollided with the anchored Hong Kong-flagged VLCC tanker SHINYO OCEAN in the evening of March the 24th at FujairahAnchorage, UAE. The incident occurred at approximately 20:05 UTC on Mar 24,2019. Reportedly, the Aseem was on its way to Qatargas’ Ras Laffan terminal when it collided with the Shinyo. ← Don’t be this guy !